Had you listened to the debate over providing the downtown Boston Store $1.2 million in city assistance during yesterday’s meeting of the Common Council you would have assumed it was voted down. And you’d be wrong. 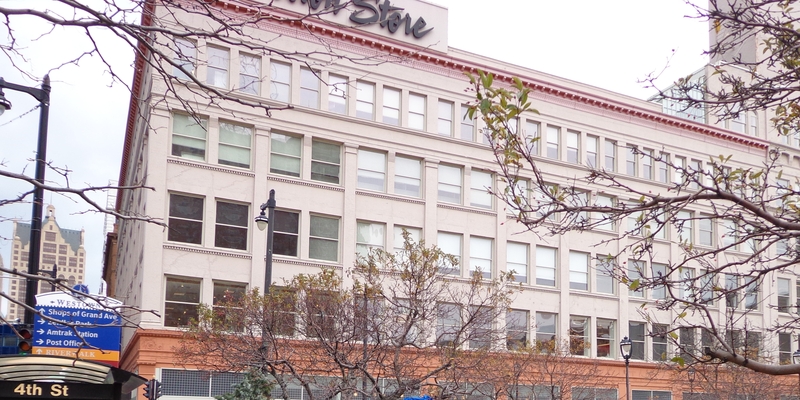 The deal in question will provide $300,000 a year in TIF (tax incremental financing) to Bon-Ton Stores Inc., to insure that it retains the 750 jobs at its downtown corporate offices and keeps the Boston Store open through January 2018. The store is reportedly losing $600,000 a year. Ald. Nik Kovac joined in on the carping, complaining that the way the city handles TIFs, “has the appearance, and frankly the reality of picking winners and losers.” Council members, he added, wouldn’t be considering this TIF “if the corporate jobs weren’t upstairs” from Boston Store. He voted for it. “Full scale retail along the lines of the suburbs” isn’t likely at the Grand Avenue, Ald. Jim Bohl stated. But, he added, “we can not throw down the surrender flag here.” He voted for it. “To kick a dead horse,” said Ald. Ashanti Hamilton, “all of us understand that there is a possibility that this will fail.” Yet “for us not to invest in ourselves, at a critical moment, then it would shame on us.” Therefore he “felt comfortable moving forward,” and voted yes. Ald. Willie Wade noted the need to consider the changing “demographics” in downtown Milwaukee as the younger population are the future potential customers of Boston Store, but also complained about the “parking situation” at the mall (It should be noted that the younger population, Millennials, are driving significantly less than previous generations). Then he voted for it. Ald. Robert Donovan announced he would vote no, because he said “we are simply delaying the inevitable.” He added, in a another attack on the mayor, “this speaks volumes sadly to some glaring deficiencies… I heard the term vision… I heard the term plan, yes where is it?… I think this speaks more of politics than anything.” Then, in a rare show of consistency among council members on this issue, he voted against it. Ald. Joe Davis, Sr. spoke about the Wisconsin Ave. corridor saying, “it’s been failing since, probably when I was in my thirties, and look at me now I’m folliclly challenged.” But Davis went on to bring up a recent dispute with Mayor Tom Barrett over the city spending $5,000 to sponsor a breakfast put on by the Retail Christian Network during the RECon Las Vegas: the Global Retail Real Estate Convention. Davis supported the use of funds for the breakfast but the Mayor vetoed it. Davis added, “the mayor said we shouldn’t be sending money down to Tennessee,” where the Retail Christian Network is headquartered, but Bon Ton’s headquarters is located in Pennsylvania so the administration isn’t acting consistently. He, too,voted against it. But most of the complainers voted yes. After Bauman’s remarks Common Council President Michael Murphy couldn’t resist adding, “and you did vote for that,” drawing a laugh from council members, but in a debate where all the voices raised concerns it was, you might say, laughable that the measure passed on a 11-3 vote. Alds. Davis, Donovan, and Joe Dudzik voted no. And this year, you can join friends and neighbors for a informal edition of the MANDI’s. From 5:30-7:30pm, at the Riverwest Public House, 815 E Locust St., our friends at the Neighborhood News Service will hosting a Live Streaming MANDI Party free to the public. “Ald. Willie Wade noted the need to consider the changing “demographics” in downtown Milwaukee which may or might not be good for the future of Boston Store” — I’m very curious now. What exactly does that mean? I’d like to know what he meant by this. @MilwaukeeLover I’ve revised the story to better reflect what Wade was saying. Parking can be a valid concern… as is any accessibility question (especially since even members of Gen Y, which is driving less than previous generations, still drive and own cars at an overwhelmingly higher rate then non-drivers/owners) . However, it’s odd that he brings up parking because I can not ever remember a time where I had trouble parking when going to Grand Ave. Apparently Joe Davis Sr. is still obsessed with using taxpayer funds to support religion– he is the one who wanted to spend taxpayer money to fund a $5000 prayer breakfast for a Christian business in Las Vegas. Yes, Las Vegas– not in Milwaukee! Very simply– government should not be supporting or promoting any religion– keep church and state separate. Those alderman who want to spend $5000 for a Christian prayer breakfast in Las Vegas should do it with their own money, not taxpayers’. @Edward Thanks for the note.. I hope to have a full story on that topic next week! Haha Edward, seriously thanks for a good laugh. Do you really think that sponsoring a networking event at a retail real estate convention somehow equates to congress establishing Christianity as a state religion? Perhaps we should also keep an eye out to make sure Wauwatosa doesn’t advertise in any local church bulletins either! That would clearly oppress your freedom to exercise your own religious choices! Besides, this is all clearly related to Boston Store. I mean… after all… they are retail and they have real estate! I worked at the JPMorgan Chase building which is connected to the Grand Avenue mall and I must say its on its last breath. 3/4th of the place is vacant and the only reason we would go there is to eat at the food court. Malls are a dying business in America. They have been trending downwards for several years now. Milwaukee should be smart. Build up the corridor between Poto and Miller Park. Get the new Bucks arena to go there. Fill that area up with restaurants and bars and build another hotel. Lease out the Grand Avenue space as office space and make profits instead of paying money. Boston Store loses $600K a year, Milwaukee is paying $1.2M in subsidies…that means we are wasting valuable money to fund 2/3rds of the losses over the course of this lease. Free markets always win out. People don’t want to shop there and the place goes out of business. Its time to move on Milwaukee. Filling in the space between Potawatomi and Miller Park with restaurants, a new hotel, and a new NBA arena is a very suburban vision. It basically transforms Canal Street into Blue Mound Rd or Mayfair Road. It would not be walkable, would be hard to serve by transit, and would detract from downtown. What increasing numbers of people want today is compact neighborhoods with retail, housing, and entertainment combined within walking distance (with as little land as possible used for parking spaces). That is the future. That is what will encourage young, creative minds to settle in Milwaukee. I respectfully disagree. An arena in the valley could be great and not suburban at all if done right. There already exist thousands of jobs there which is one component to a lively neighborhood. Minimal setback and incorporate one of the viaducts into the plans so more accessible to those using transit, biking or walking. I’ve always thought that the east parking lot (east of the river) of Miller Park would be a great location for a “Brewtown” including office, retail and residential. What would be done with the vacated BC site? If including the park east land MKE could create a true public square (no modern art please) with retail built to suite large stores. Think Indianapolis or San Diego downtowns or even large European pedestrian squares where shopping abounds.